Still making New Year's Eve plans? Several Rosslyn restaurants are hosting parties this year! Be sure to check them out! Barley Mac: 1600 Wilson Blvd., 7 p.m.-2 a.m. 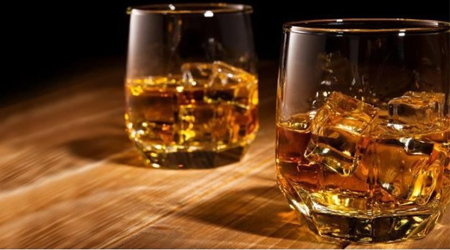 Celebrate New Year's Eve in style at Barley Mac's Beautifully Bourbon New Year's Eve! This ticketed event, which will take place in the bar area of the restaurant, will include three drink tickets for premium beverages (including bourbons and whiskeys), hand-passed hors d'oeuvres and a champagne toast at midnight. Capacity is limited, so get your tickets before they sell out! Get tickets. 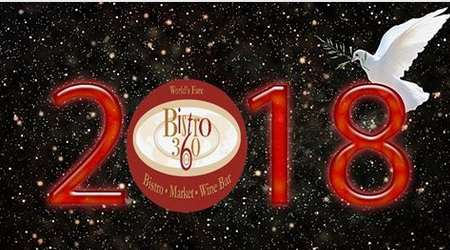 Bistro 360: 1800 Wilson Blvd., 5 p.m.-1 a.m. Enjoy a four-course prix fixe dining experience that will feature champagne cocktails created just for New Year's Eve. Seatings are available every hour on the hour, with the first seating starting at 5 p.m. and the last at 10 p.m. The bar area will be first come, first served with extended hours of operation, closing at 1 a.m. Reservations are required. Call 703-522-3600 to book a table. Learn more. Continental Pool Lounge: 1911 N. Fort Myer Dr., 8 p.m.-2 a.m. There's no cover for this fun and festive annual New Year's Eve party at Continental Pool Lounge, aptly named NYE Continental Style. Enjoy 50 cent wings until 11 p.m. At 9 p.m., get ready to dance the night away with music by D.J. Funkhouse. There will also be party favors and a champagne toast at midnight. Learn more. 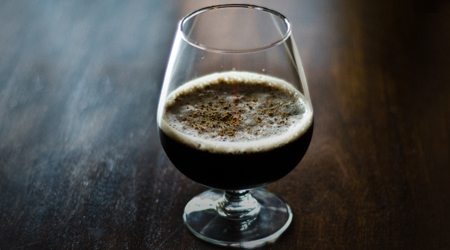 Heavy Seas Alehouse: 1501 Wilson Blvd. (corner of Oak + 18th Sts. ), 12-9 p.m. Celebrate New Year's Eve at Heavy Seas Alehouse with a three-course menu for $50 per person and a complimentary bottle of champagne. Start with a house salad, then choose from surf & turf, a 14 oz. ribeye or baked, stuffed flounder. There will be white chocolate raspberry cheesecake for dessert. Learn more. 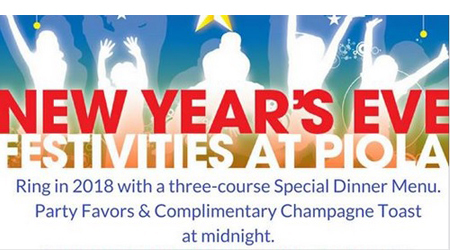 Piola: 1550 Wilson Blvd., New Year's Eve party: 9 p.m.; New Year's Day brunch: 11 a.m.-3 p.m. Enjoy two ways to ring in the new year at Piola: Celebrate with them at their annual New Year's Eve party December 31, or join them for New Year's Day brunch. Reservations highly recommended for both events. Call 703-528-1502. Learn more about the New Year's Eve party here. Learn more about the New Year's Day brunch here. 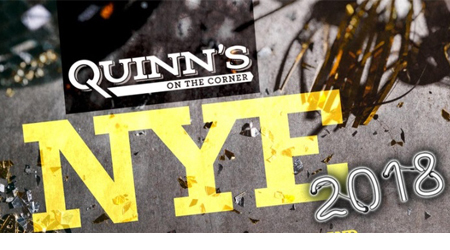 Quinn's on the Corner: 1776 Wilson Blvd., 8 p.m.-1 a.m. 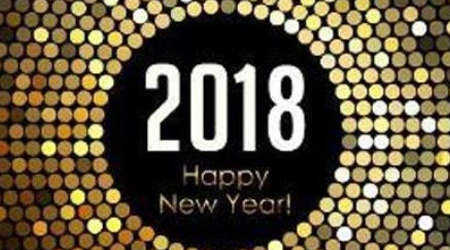 Welcome 2018 at Quinn's on the Corner! Register today for this ticketed event. You'll enjoy two drinks, a bar bites buffet from 8-10 p.m. and a champagne toast at midnight. Meanwhile, a D.J. will be spinning all your favorite tunes that are sure to keep you dancing! Get tickets.